How to use SEO content to built your website? A title is the first thing to attract the viewers’ attention. You must concentrate on creating a unique title that would perfect describe the matter of the content. A title should be short in length as well as catchy and original. Hence, the title should be created in such a way that becomes successful to provide an insight of the content to the visitors. The web content should contain a number of links so that it becomes easier for a viewer to access the other sites from one platform. The more URL contains, the more informative the content becomes. Your URL should contain one primary keyword. You should prefer using hyphens (-) in place of underscores (_) so that becomes easier for the viewers to read. The URL should also become brief, relevant and descriptive that would go perfectly with the web content. A meta-description helps a viewer to get an idea about the content easily. Meta description is a short paragraph that a reader gets to see under the title tag on the SERP. A meta-description provides the scope to introduce your brand before a viewer goes deeper of your site and check your product. 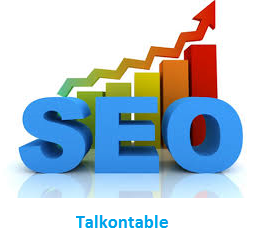 Selection of keywords plays a big role to enhance the quality of web content. One of the major keys to a good SEO strategy is to find out the words which the users type on the search bars when they are searching for a website relevant to your website. You must choose the easiest as well as most popular keywords for the contents of your website. Search engines are capable of reading ALT text. It will be batter to use an ALT attribute so that a viewer finds it easier to understand the meaning of a particular image. It will a better option to use the keyword phrases for that particular image that you are targeting to describe. Along with it, you should bold the keywords so that the readers understand it easily that that particular part of the text is especially important for them. No matter, whatever a CMS (content management system) you use, you will get the chance to optimize an image once you upload it. These are the number of ways following which you will be able to develop quality content for your website. Once the content is developed followed by the aforementioned issues, those will surely prove to be preferable to the readers.